Is Denmark Being Set Up? SWEDISH COMMON SENSE - Margot Wallstrom, Sweden's Foreign Minister, was interviewed on Swedish state television the day after the Paris attacks. She said something that the terrorist cabal running Israel does not like hearing - but is nonetheless very true: The brutal 48-year-old Israeli occupation of Palestinian lands has created an increasingly desperate and hopeless situation that causes Palestinians to resort to violence. Wallstrom was asked if she was concerned about the radicalization of young people in Sweden who are fighting for Islamic State. Margot Wallstrom said (in Swedish): "Clearly we have a reason to be worried not only here in Sweden but around the world because there are so many who are being radicalized. "Here again, you come back to situations like that in the Middle East where not least the Palestinians see that there isn't any future (for them). (The Palestinians) either have to accept a desperate situation or resort to violence." Sweden is now on a heightened state of alert. In the past, such comments critical of the Zionist occupation of Palestine have resulted in false-flag terror attacks. These attacks are thought to have been carried out by the hidden hand behind the wave of terrorism that has swept the world since the extreme right-wing Likud party came to power in Israel. The Likud was created in the 1970s by Menachem Begin and Yitzhak Shamir, the notorious leaders of the Zionist terror groups, the Irgun and Lehi (Stern Gang). Today, the Likud is headed by Benjamin Netanyahu, the current prime minister of Israel. 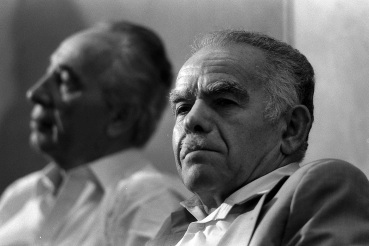 FELLOW TERRORISTS - Yitzhak Shamir (right) and Shimon Peres are two of Israel's most notorious terrorists. Exposing the Zionist roots of global terrorism is theonly logical way to defeat this menace. For more on the Zionist roots of terrorism, read "America the Target", the third chapter of Solving 9-11, now available as an audio file. Yitzhak Shamir of the Stern Gang was personally responsible for murdering the Swedish Count, Folke Bernadotte, on September 17, 1948. Bernadotte had been sent to Palestine by the United Nations to try and find a solution to the strife caused by the UN Partition Plan and the Israeli conquest of Palestinian lands. Shamir did not like Bernadotte's plans for peace - so he murdered the Swedish Count. 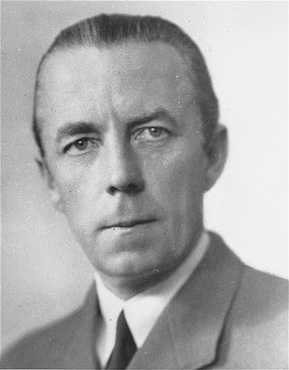 Folke Bernadotte, Count of Wisborg (January 2, 1895 – September 17, 1948) was a Swedish diplomat and nobleman married to the American Estelle Romaine Manville. Note: If you appreciate my articles please support my research and writing. A German viewpoint about why the crimes of 9-11 must be properly investigated and the guilty parties brought to justice to prevent a disaster for humanity on a global scale. We seem to have a little problem in the neighborhood. The situation we face is like a two-horse race, and whichever horse wins will have an enormous impact on the future of the human race. The two horses I am referring to are racing at full speed to the Zionist finish line. Zionism is a racist and supremacist ideology. Supremacist ideologies do not last forever. Recent examples are the white apartheid South Africa with their "Coloreds," and the German Nazi regime with theirUntermenschen. Zionists have their Goyim (Hebrew word for non-Jews; Gentiles). The Palestinians, Americans, and the vast majority of the human race are Goyim and are viewed by Zionists in the same way that the Nazis viewed Untermenschen a few decades earlier. 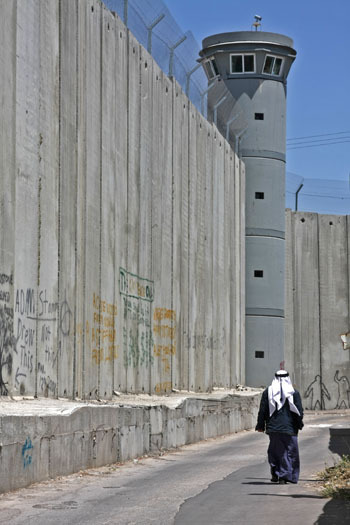 The Israeli Wall that separates Jews from Palestinians is the most obvious symbol of the apartheid of Zionism. The apartheid regime of South Africa recognized the futility and injustice of their situation and peacefully dismantled the system themselves, leading to a relatively peaceful coexistence between the whites and the coloreds. The German Nazis, on the other hand, believed in their own supremacy and invincibility over theUntermenschen and carried on to the bitter end. As history has proven, this was a delusion, and now, after a great deal of death and destruction, the Germans live peacefully with the formerUntermenschen. The Zionist regime and its supremacist ideology are dismantled by the Jews themselves. The Zionists apologize for their crimes against the Goyim and ask for forgiveness. The Gentile Goyim that I am referring to consist primarily of the Palestinians, Americans adversely affected by 9-11 or the USS Liberty episode, and countless other peoples and events. Offering restitution (Wiedergutmachung) for the victims could have a positive effect and calm things down. The Zionist regime continues on the present trajectory; Israel plays the world for a sucker, does nothing, and waits for the Goyim to stop Zionism. If the Untermenschen managed to stop the Nazis, the Goyimcan stop the Zionists, with or without their 400 nuclear devices. The Gentiles are at least as capable as the Untermenschen. The most desirable outcome is for Horse Number One to win the race. We would all be winners if this were to be the outcome. If, however, Horse Number Two wins, the Jews will certainly lose, as will an untold number of Gentiles. In fact, if Horse Number Two prevails, we may, for the first time in hundreds of years, see a significant decline in the population of Homo sapiens on this planet. The level of the population decline depends on the process with which Zionism is brought to an end. Four hundred nuclear devices and their modern delivery systems are an important part of this equation. It was most fortunate for humanity that the Nazis did not have four hundred nuclear devices. We all know the fate of the Titanic. It was the world’s most luxurious, modern, and unsinkable ocean liner. What was considered inconceivable at that time sealed the fate of each and every person on the ship. On the Titanic’s maiden voyage in April 1912, any discussion of potential hazards was not only undesirable but forbidden. Such talk was prohibited because it would damper the spirits and party atmosphere prevailing amongst the passengers. 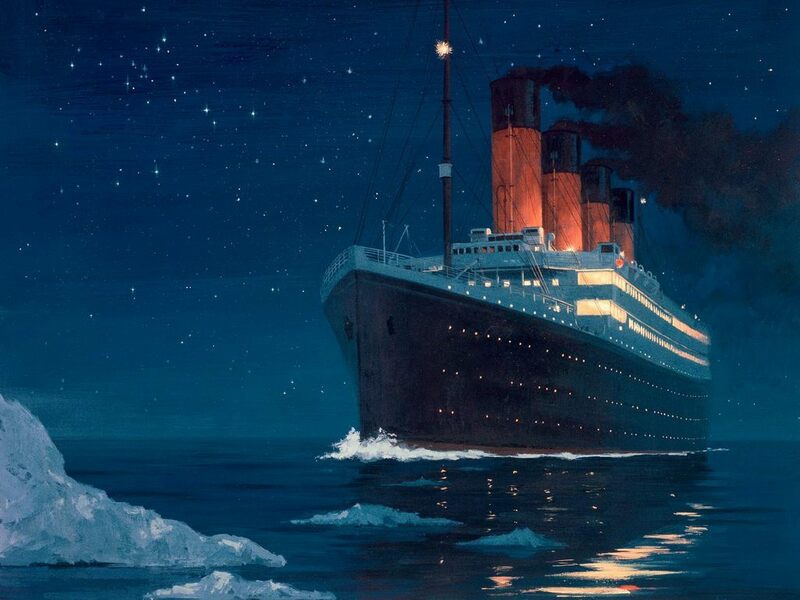 Yet, had the evidence of the dangers facing the Titanic been discussed in an honest way, a slight change of course is all it would have taken to avoid the tragic fate that befell everyone on the ship. Nobody escaped this fate. Many people died. For those who did survive, the sinking of the Titanic was a life-changing event. Looking back, it is unbelievable how such obvious dangers could have been ignored to the extent that the “accident” was even possible. Today, over 100 years later, we find ourselves in a very similar situation as the passengers on the Titanic. We are faced with a choice that we cannot ignore. We can blindly continue on the present trajectory, or we can acknowledge the dangers of doing so and demand a sensible change of course. This act will not stand; we will find those who did it; we will smoke them out of their holes; we will get them running and we'll bring them to justice. We will not only deal with those who dare attack America, we will deal with those who harbor them and feed them and house them. Little did we know that George W. Bush was on the side of the perpetrators. But how could we have known, having been stunned into a state of shock and awe. And with flag-waving patriotism flooding the land, who would dare to challenge or question the official government version of the unfolding nightmare? It took some time but the official government version of 9-11 has now been proven false, except to those who also believe the earth is flat. We have witnessed similar criminal cover-ups since the assassination of J.F. Kennedy in November 1963 and the murderous attack on theUSS Liberty in June 1967. The same methods have been employed to stifle and silence all scientific investigations of the crimes of 9-11. To denigrate those who dare to bring forward facts and evidence as “crazies” or conspiracy theorists does not reduce the gravity of the crime itself. To do so only makes matters worse for the detractor himself for he is bound to be seen as being complicit in the cover-up. During the Six-Day War of 1967, one of the most daring acts of Zionist treachery was the Israeli military attack on the USS Liberty, an un-armed vessel of the U.S. Navy. 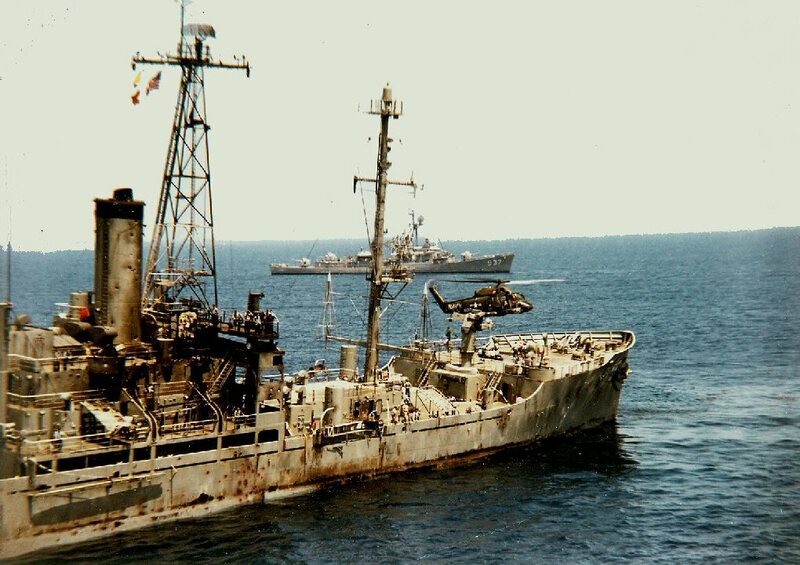 During Israel's assault on Egypt, the Liberty, an American surveillance ship, was monitoring the progress of the war while cruising in international waters off the coast of Israel. Realizing that the Liberty was capable of discovering and recording Israeli war crimes, Israeli leaders decided to 'get rid' of the evidence. Israeli planes and torpedo boats then attacked the Liberty with the clear intent of sinking it. If the ship had been sunk and the evidence destroyed, Israel would have blamed Egypt for the attack. The Zionist-controlled news media in America would have then used the lie to turn U.S. public opinion against Egypt. Israel, however, failed in its wicked act of treachery against its ally, the United States. Fortunately, the brave crew of the Liberty was able to keep the ship afloat, but the Israeli attackers killed 34 and wounded 171 crew members. Israel claimed the attack was a case of mistaken identity although the evidence and reports from survivors clearly prove that the Israelis knew the Liberty was an American vessel. The attack was not only intentional; it was meant to sink the ship with all hands lost. The disturbing facts about the attack on the USS Liberty were omitted by the Zionist-controlled news media in the United States. The American people were fed the lie that Israel had accidentally fired on an American ship, and that the whole incident was simply a tragic case of mistaken identity. The official investigation was subdued and the matter quickly forgotten. The cover-up of the assault on the Liberty could not have succeeded had the news media properly reported the facts surrounding the attack. The cover-up of the Israeli attack on the Liberty is a good example of how the Zionist-controlled news media distorts or withholds important information about Israeli war crimes. Israel's war of 1967 was in fact a war of conquest, i.e. a war of aggression, which is clearly seen by its subsequent and continuous development of illegal settlements on the territories it occupied during the war. Like the Israeli attack on the USS Liberty, the U.S. government cannot keep the facts of what really happened on 9-11 suppressed forever. When a critical mass of the population becomes aware of the Zionist role in the 9-11 atrocity, the window of opportunity for an orderly trial in a court of law will be closed. The outraged public may turn to mob justice. The Internet is a game changer. There is growing public awareness that the mainstream media is controlled, which renders it increasingly irrelevant. The truth about 9-11 cannot be hidden from the public in the way that the Israeli attack on the Liberty was. Neither of these events can be brushed aside. Since the official version of 9-11 has now been proven false, a large and growing number of people as well as a highly respected organization of architects and engineers are demanding an independent investigation to determine how the World Trade Center towers came down. Why has the government lied about every aspect of 9-11? The collapse of Larry Silverstein’s 47-story WTC 7 is the key that opens the door to this crime of high treason. Silverstein, the leaseholder of the World Trade Center, needs to be arrested and prosecuted for his role in the $7 billion dollar insurance scam. Core members of "crime tanks" such as PNAC (Project for the New American Century) need to be investigated and prosecuted for the roles they played in planning the “new Pearl Harbor” and the wars of aggression it led to. A proper criminal investigation should determine the guilt or innocence of all the parties involved in this massive crime. Instead of investing to renovate and detoxify the buildings, Silverstein helped destroy them with military drones, explosives, and super-thermite. Many New Yorkers are expected to die in the coming years as they succumb to illnesses caused by their exposure to asbestos and the toxic particles in the smoke from the burning rubble of the World Trade Center. "…Germany’s support for Israel’s security is part of our national ethos, our raison d’être." It is time we started connecting the dots. Having connected the dots we see before us a Rorschach, rife with demons we fear to name. Germany is run by a Zionist stooge. The German Chancellor Angela Merkel is well versed in subservience to the master. That was how they operated in the former East Germany, where she grew up, subservient to their Soviet masters. Chancellor Merkel recently said that Germany’s “reason for existence” (raison d’être) is to serve the security needs of Israel. Today, in the West, such subservience to Zionist masters is the norm. Merkel’s behavior is similar to Obama’s statements of being “in lockstep” with, and providing “ironclad” support for Israel. These are the words of obedient slaves, not the leaders of sovereign nations. With such groveling statements Merkel and Obama guarantee a constant flow of favorable reviews in the Zionist-controlled press and we, as good citizens, accept our fate and don’t think of rebellion. What can we do? How can we stop the delivery of more ultra-modern submarines that Germany is providing the Zionist state of Israel? The sole purpose of these stealthy submarines is to serve as a platform from which to deliver nuclear-tipped cruise missiles. These submarines and nuclear missiles allow Israel to hold anybody to ransom. On an individual level, we need to understand what has happened and not allow ourselves to be lied to by the media, politicians, or any person or institution. Confront them with questions and facts and demand that they explain why they are lying. Humanity will be judged harshly if this Zionist game is allowed to go ahead. 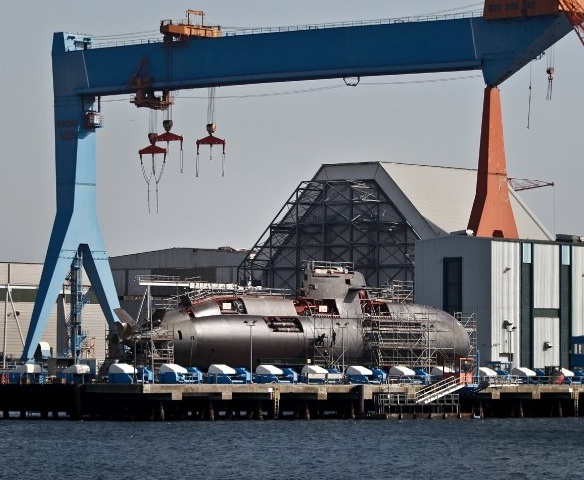 The delivery of the remaining German submarines must be delayed until after the crime of 9-11 has been clarified by an independent investigation as so many people are demanding. Think about it, the same people who brought us 9-11 want these submarines. USS Liberty Memorial website, James M. Ennes, Jr.
Victoria Nuland KAGAN (center), Asst. Secretary of State for Eurasia, was recorded choosing who would be the next leader of the Ukraine - two weeks before the elected government was overthrown in a bloody coup. She is married into the Kagan family who brought us the Project for a New American Century (PNAC) and the war against Iraq. The war against Iraq was clearly a war of aggression, so why haven't the Kagans been arrested for war crimes? Do we really want a war with Russia? Are the Nuremberg Principles a dead letter? In fact, the bill was 16 pages of war propaganda that should have made even neocons blush, if they were capable of such a thing. These are the kinds of resolutions I have always watched closely in Congress, as what are billed as “harmless” statements of opinion often lead to sanctions and war. I remember in 1998 arguing strongly against the Iraq Liberation Act because, as I said at the time, I knew it would lead to war. I did not oppose the Act because I was an admirer of Saddam Hussein – just as now I am not an admirer of Putin or any foreign political leader – but rather because I knew then that another war against Iraq would not solve the problems and would probably make things worse. We all know what happened next. That is why I can hardly believe they are getting away with it again, and this time with even higher stakes: provoking a war with Russia that could result in total destruction! The resolution (paragraph 3) accuses Russia of an invasion of Ukraine and condemns Russia’s violation of Ukrainian sovereignty. The statement is offered without any proof of such a thing. Surely with our sophisticated satellites that can read a license plate from space we should have video and pictures of this Russian invasion. None have been offered. As to Russia’s violation of Ukrainian sovereignty, why isn’t it a violation of Ukraine’s sovereignty for the US to participate in the overthrow of that country’s elected government as it did in February? We have all heard the tapes of State Department officials plotting with the US Ambassador in Ukraine to overthrow the government. We heard US Assistant Secretary of State Victoria Nuland bragging that the US spent $5 billion on regime change in Ukraine. Why is that OK? The resolution (paragraph 11) accuses the people in east Ukraine of holding “fraudulent and illegal elections” in November. Why is it that every time elections do not produce the results desired by the US government they are called “illegal” and “fraudulent”? 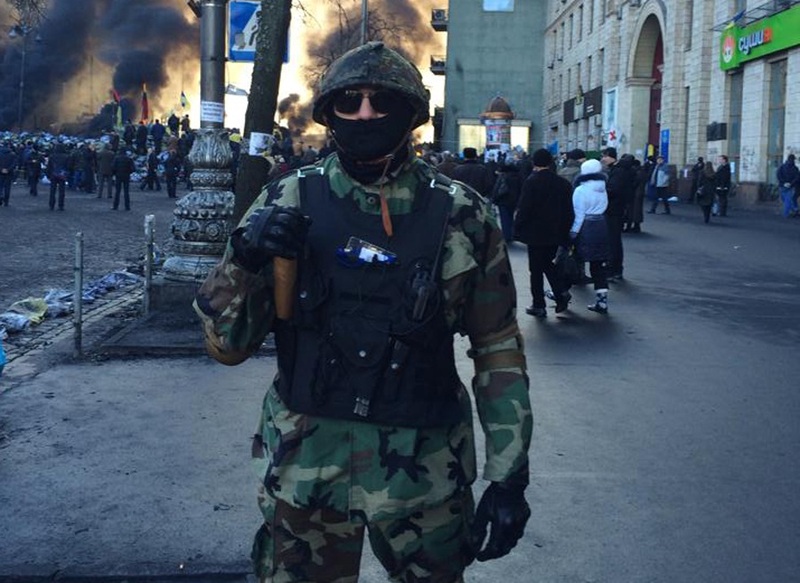 Aren’t the people of eastern Ukraine allowed self-determination? Isn’t that a basic human right? The resolution (paragraph 13) demands a withdrawal of Russia forces from Ukraine even though the US government has provided no evidence the Russian army was ever in Ukraine. This paragraph also urges the government in Kiev to resume military operations against the eastern regions seeking independence. The resolution (paragraph 14) states with certainty that the Malaysia Airlines flight 17 that crashed in Ukraine was brought down by a missile “fired by Russian-backed separatist forces in eastern Ukraine.” This is simply incorrect, as the final report on the investigation of this tragedy will not even be released until next year and the preliminary report did not state that a missile brought down the plane. Neither did the preliminary report – conducted with the participation of all countries involved – assign blame to any side. Paragraph 16 of the resolution condemns Russia for selling arms to the Assad government in Syria. It does not mention, of course, that those weapons are going to fight ISIS – which we claim is the enemy -- while the US weapons supplied to the rebels in Syria have actually found their way into the hands of ISIS! Paragraph 17 of the resolution condemns Russia for what the US claims are economic sanctions (“coercive economic measures”) against Ukraine. This even though the US has repeatedly hit Russia with economic sanctions and is considering even more! The resolution (paragraph 22) states that Russia invaded the Republic of Georgia in 2008. This is simply untrue. Even the European Union – no friend of Russia – concluded in its investigation of the events in 2008 that it was Georgia that “started an unjustified war” against Russia not the other way around! How does Congress get away with such blatant falsehoods? Do Members not even bother to read these resolutions before voting? In paragraph 34 the resolution begins to even become comical, condemning the Russians for what it claims are attacks on computer networks of the United States and “illicitly acquiring information” about the US government. In the aftermath of the Snowden revelations about the level of US spying on the rest of the world, how can the US claim the moral authority to condemn such actions in others? The resolution gives the green light (paragraph 45) to Ukrainian President Poroshenko to re-start his military assault on the independence-seeking eastern provinces, urging the “disarming of separatist and paramilitary forces in eastern Ukraine.” Such a move will mean many more thousands of dead civilians. To that end, the resolution directly involves the US government in the conflict by calling on the US president to “provide the government of Ukraine with lethal and non-lethal defense articles, services, and training required to effectively defend its territory and sovereignty.” This means US weapons in the hands of US-trained military forces engaged in a hot war on the border with Russia. Does that sound at all like a good idea? There are too many more ridiculous and horrific statements in this legislation to completely discuss. Probably the single most troubling part of this resolution, however, is the statement that “military intervention” by the Russian Federation in Ukraine “poses a threat to international peace and security.” Such terminology is not an accident: this phrase is the poison pill planted in this legislation from which future, more aggressive resolutions will follow. After all, if we accept that Russia is posing a “threat” to international peace how can such a thing be ignored? These are the slippery slopes that lead to war. This dangerous legislation passed today, December 4, with only ten (!) votes against! Only ten legislators are concerned over the use of blatant propaganda and falsehoods to push such reckless saber-rattling toward Russia. Here are the Members who voted “NO” on this legislation. If you do not see your own Representative on this list call and ask why they are voting to bring us closer to war with Russia! If you do see your Representative on the below list, call and thank him or her for standing up to the warmongers. The Obama regime, wallowing in hubris and arrogance, has recklessly escalated the Ukrainian crisis into a crisis with Russia. Whether intentionally or stupidly, Washington’s propagandistic lies are driving the crisis to war. Unwilling to listen to any more of Washington’s senseless threats, Moscow no longer accepts telephone calls from Obama and US top officials. The crisis in Ukraine originated with Washington’s overthrow of the elected democratic government and its replacement with Washington’s hand-chosen stooges. The stooges proceeded to act in word and deed against the populations in the former Russian territories that Soviet Communist Party leaders had attached to Ukraine. The consequence of this foolish policy is agitation on the part of the Russian speaking populations to return to Russia. Crimea has already rejoined Russia, and eastern Ukraine and other parts of southern Ukraine are likely to follow. 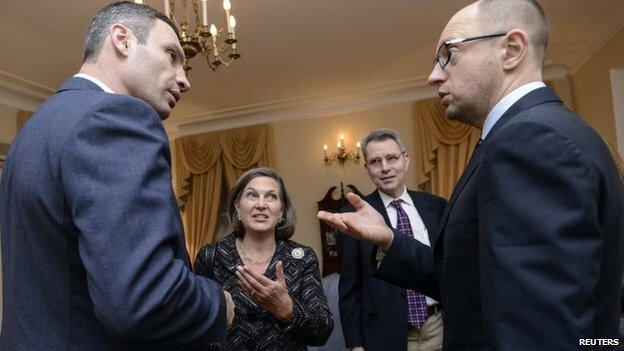 Instead of realizing its mistake, the Obama regime has encouraged the stooges Washington installed in Kiev to use violence against those in the Russian-speaking areas who are agitating for referendums so that they can vote their return to Russia. The Obama regime has encouraged violence despite President Putin’s clear statement that the Russian military will not occupy Ukraine unless violence is used against the protesters. We can safely conclude that Washington either does not listen when spoken to or Washington desires violence. As Washington and NATO are not positioned at this time to move significant military forces into Ukraine with which to confront the Russian military, why is the Obama regime trying to provoke action by the Russian military? A possible answer is that Washington’s plan to evict Russia from its Black Sea naval base having gone awry, Washington’s fallback plan is to sacrifice Ukraine to a Russian invasion so that Washington can demonize Russia and force a large increase in NATO military spending and deployments. In other words, the fallback prize is a new cold war and trillions of dollars more in profits for Washington’s military/security complex. The handful of troops and aircraft that Washington has sent to “reassure” the incompetent regimes in those perennial trouble spots for the West–Poland and the Baltics–and the several missile ships sent to the Black Sea amount to nothing but symbolic provocations. Economic sanctions applied to individual Russian officials signal nothing but Washington’s impotence. Real sanctions would harm Washington’s NATO puppet states far more than the sanctions would hurt Russia. naval base can go forward. In other words, Washington’s demand is that Russia put Humpty Dumpty back together again and hand him over to Washington. The presstitute Western media and Washington’s European puppet states are supporting this unrealistic demand. Consequently, Russian leaders have lost all confidence in the word and intentions of the West, and this is how wars start. European politicians are putting their countries at great peril and for what gain? Are Europe’s politicians blackmailed, threatened, paid off with bags of money, or are they so accustomed to following Washington’s lead that they are unable to do anything else? How do Germany, UK, and France benefit from being forced into a confrontation with Russia by Washington? Washington’s arrogance is unprecedented and is capable of driving the world to destruction. Where is Europe’s sense of self-preservation? Why hasn’t Europe issued arrest warrants for every member of the Obama regime? Without the cover provided by Europe and the presstitute media, Washington would not be able to drive the world to war. 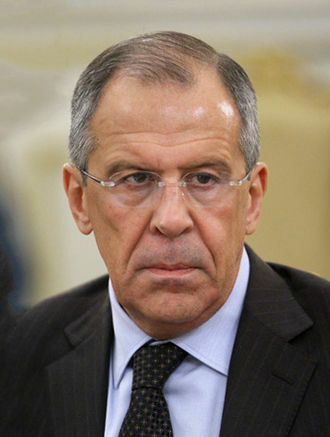 Sergey Lavrov, the Foreign Minister of Russia, is a voice of reason on the crisis in Ukraine and stability in Europe. The following article, written by Lavrov, was not published in a single newspaper in the United States. Why are Americans being kept in the dark about the Russian point of view on the crisis in the Ukraine? Sergey Lavrov, the Russian foreign minister, has written an important article about the Neo-Con's orchestrated crisis in the Ukraine. This piece, which has not been published in any U.S. newspaper, was published in The Guardian (U.K.) on April 7. The profound and pervasive crisis in Ukraine is a matter of grave concern for Russia. We understand perfectly well the position of a country which became independent just over 20 years ago and still faces complex tasks in constructing a sovereign state. Among them is the search for a balance of interests among its various regions, the peoples of which have different historical and cultural roots, speak different languages and have different perspectives on their past and present, and their country's future place in the world. Given these circumstances, the role of external forces should have been to help Ukrainians protect the foundations of civil peace and sustainable development, which are still fragile. Russia has done more than any other country to support the independent Ukrainian state, including for many years subsidizing its economy through low energy prices. Last November, at the outset of the current crisis, we supported Kiev's wish for urgent consultations between Ukraine, Russia and the EU to discuss harmonizing the integration process. Brussels flatly rejected it. This stand reflected the unproductive and dangerous line the EU and US have been taking for a long time. They have been trying to compel Ukraine to make a painful choice between east and west, further aggravating internal differences. Ukraine's realities notwithstanding, massive support was provided to political movements promoting western influence, and it was done in direct breach of the Ukrainian constitution. This is what happened in 2004, when President Viktor Yushchenko won an unconstitutional third round of elections introduced under EU pressure. This time round, power in Kiev was seized undemocratically, through violent street protests conducted with the direct participation of ministers and other officials from the US and EU countries. Assertions that Russia has undermined efforts to strengthen partnerships on the European continent do not correspond to the facts. On the contrary, our country has steadily promoted a system of equal and indivisible security in the Euro-Atlantic area. We proposed signing a treaty to that effect, and advocated the creation of a common economic and human space from the Atlantic to the Pacific which would also be open to post-Soviet countries. In the meantime, western states, despite their repeated assurances to the contrary, have carried out successive waves of NATO enlargement, moved the alliance's military infrastructure eastward and begun to implement antimissile defense plans. The EU's Eastern Partnership program is designed to bind the so-called focus states tightly to itself, shutting down the possibility of co-operation with Russia. Attempts by those who staged the secession of Kosovo from Serbia and of Mayotte from the Comoros to question the free will of Crimeans cannot be viewed as anything but a flagrant display of double standards. No less troubling is the presence of not noticing that the main danger for the future of Ukraine is the spread of chaos by extremists and neo-Nazis. Russia is doing all it can to promote early stabilization in Ukraine. We are firmly convinced that this can be achieved through, among other steps: real constitutional reform, which would ensure the legitimate rights of all Ukrainian regions and respond to demands from its south-eastern region to make Russian the state's second official language; firm guarantees on Ukraine's non-aligned status to be enshrined in its laws, thus ensuring its role as a connecting link in an indivisible European security architecture; and urgent measures to halt activity by illegal armed formations of the Right Sector and other ultra-nationalist groups. We are not imposing anything on anyone; we just see that if it is not done, Ukraine will continue to spiral into crisis with unpredictable consequences. We stand ready to join international efforts aimed at achieving these goals. We support the appeal by foreign ministers of Germany, France and Poland to implement the 21 February agreement. Their proposal – to hold Russia-EU talks with the participation of Ukraine and other Eastern Partnership states about the consequences of EU association agreements – corresponds to our position. The world of today is not a junior school where teachers assign punishments at will. Belligerent statements such as those heard at the NATO foreign ministers meeting in Brussels on 1 April do not match demands for a de-escalation. De-escalation should begin with rhetoric. It is time to stop the groundless whipping-up of tension, and to return to serious common work. A fire storm engulfed the old centre of Dresden. It was deliberately created to leave no human life in its wake. Men looked from above, aghast at what they had wrought. Men, women and children down below were boiled alive in the supposed sanctuary of fountains and reservoirs. 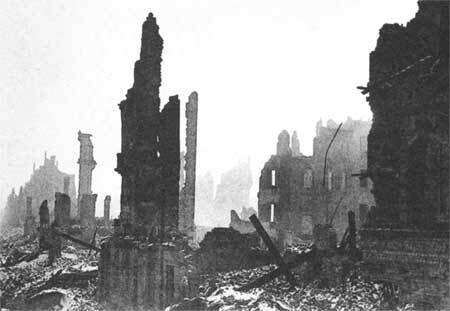 The city of Dresden was utterly destroyed in the fire-bombing of February 13-14, 1945. 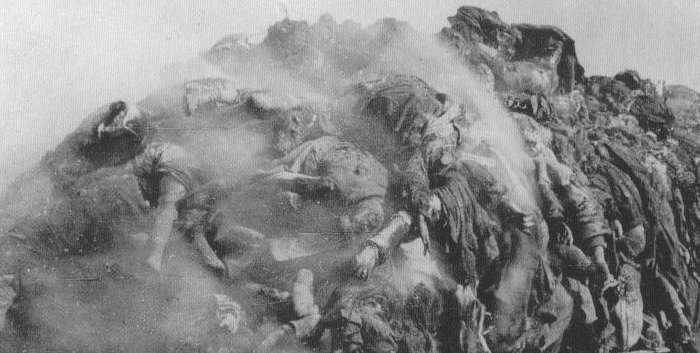 The corpses of Dresden were burned in piles and buried in a mass grave. Despite the huge loss of life there is no memorial to commemorate those killed in the Anglo-American fire-bombing of February 1945. Dresden is a holocaust that is not remembered. Why is a Nation Known for Pork Attacking Islam? I must say that I was somewhat surprised to read today in the New York Times that 17 newspapers in Denmark had reprinted the most offensive anti-Muslim cartoon from early 2006. For so many newspapers in tiny Denmark to re-publish the offensive cartoon in concert, on the very same day, indicates that the anti-Muslim conspiracy and agenda I discussed two years ago are, indeed, real, alive, and active. One might reasonably ask why one of the smallest and weakest countries in the world, with a population of less than 6 million, would want to inflame the passions and provoke the 1.5 billion Muslims of the world? It simply doesn't make any sense, especially for a nation like Denmark that depends on its exports. Didn't Danes pay an extremely high price in 2006 when Muslim nations boycotted Danish products and mobs attacked their embassies? Why would any sensible Dane want to see that happen again? Are they completely insane? Why would Danes be so eager to offend Muslims? Are they simply trying to spice up a long winter and an otherwise boring existence or is there a foreign agenda at work here? It certainly looks like Shakespeare had it right when he wrote, "Something is rotten in the kingdom of Denmark." Is Denmark being set up for a false-flag terror attack? That seems very likely, given the absurdity of this latest anti-Muslim offense. Denmark is an active member of the anti-Muslim crusade known as the "War on Terrorism." Knowing that this fraudulent "War on Terrorism" is nothing but a Zionist scheme to drag corrupt Western nations into illegal wars of aggression against Muslim nations -- on behalf of Israel -- it stands to reason that Denmark must be both corrupt and dominated by strong Zionist-Jewish forces. There must, after all, be a good reason why other Scandinavians have traditionally called the Danes the "Jews of Scandinavia." Remember, the Zionist false-flag terror of 9-11 was carried out in New York City, the most Jewish-controlled city outside of Israel. Zionist control of the media, the police and courts, and the government, is essential for such false-flag attacks, in which Muslims are wrongly blamed, to succeed. Denmark is an active coalition partner and Danish troops are taking part in the illegal foreign occupations of Afghanistan and Iraq. Some 380 Danish soldiers are also in Kosovo. About the same number are in Afghanistan, where they have been since 2001. Danish troops are also patrolling the borders of Lebanon. What has Denmark lost in Afghanistan, Iraq, Lebanon, or Kosovo? This extremely irresponsible deployment by the Danish military supports the theory that the nation's leaders are stupid as well as corrupt. How else could this tiny nation of 5.5 million people be involved in 4 unmitigated foreign disasters at the same time? How do they possibly explain such criminal use of Danish armed forces to the people? (This is the same question I have been asking other Nordic and Baltic nations.) Is this another nation on Prozac? The controlled media uses the cartoon controversy, of course. They say that the Danish troops are fighting Islamic fundamentalism in Afghanistan, Iraq, and Lebanon, while the Danish media is waging the same war on the home front. The Zionist media moguls of Denmark are using the offensive cartoons to try to inflame the completely artificial and fraudulent "Clash of Civilizations." How transparent do such media deceptions have to be in order to see through them? Will this nonsense spread or will it be contained to Denmark? The offensive drawing by Kurt Westergaard depicts the Prophet of Islam wearing a ridiculous turban shaped like a bomb with a lit fuse. How stupid can a cartoonist be? The Danish papers all claim that they are showing their commitment to freedom of speech after police arrested three people accused of plotting to kill Westergaard. This is pure rubbish. There is no such thing as freedom of speech in Denmark. Just try to question the Holocaust in a Danish newspaper and see what happens. Westergaard, who certainly can not be called a "foolish young man," displays the same profound cultural ignorance and provincial behavior as the Danish government and media. Hasn't this man ever been out of Denmark or Greenland, its largest colony? Westergaard says that he didn't think that his intentionally offensive drawing would be offensive. Is he on drugs? Didn't he even read a simple encyclopedia article about Islam, the religion he is dedicated to attacking? Can't he read? If Westergaard is truly keen on preserving Europe's so-called "freedom of speech" and attacking its "holy cows," which are protected from criticism, why doesn't he increase the number of his fronts, like the Danish military, and start drawing offensive cartoons about the Holocaust? Why is the controlled media's version of European-Jewish history protected from such satire and criticism? "With this drawing I wanted to show how fanatical Islamists or terrorists use religion as a kind of spiritual weapon," Westergaard said. "Naturally I never imagined these kinds of reactions." Westergaard may simply be extremely daft or desperate for money, but why would normal Danes go along with offending 1.5 billion Muslims? What is wrong with these people? Because Denmark is a very small country and is generally not very well known by outsiders, let's look at who these Danes are. Today, on BBC World television, I saw a very piggish-looking Danish woman defending the re-printing of the offensive cartoon. Although I didn't catch her name, she certainly looked like a pig, which happens to be the favorite food and most common animal species in Denmark. She certainly had some of the pig in her. While Danes may be very nice looking, they really sound quite awful when they speak. This is because Danish is a very primitive language, like Norwegian, but the Danes have preserved all the animal-like guttural grunts and burp sounds of the Vikings. It is not unfair to say that Danish does not sound very nice. But not all the grunts and burps one hears in Denmark are coming from the people. There are five times as many pigs in Denmark as people. Imagine that. Pigs are known to be very intelligent animals and certainly have some rights too. Pigs are certainly more intelligent than the people who publish the newspapers of Denmark! The swine industry in Denmark is one of the most important parts of the Danish economy. In terms of value of annual turnover, Danish Crown Cooperative for pig production is the third largest company in the country. Some 60,000 Danes are employed in the pork industry. Thanks to the "War on Terrorism," many of the Danes who can't find jobs slopping muck in the pig houses of Denmark are able to find jobs in Afghanistan, Kosovo, and Iraq. The Danes even have a National Committee for Pig Production, which conducts research on pig production and processing. Danes, it must be said, are known for keeping pigs in extremely inhumane conditions. Danish pigs don't spend a single day of their lives in the fresh air running free. This is partly because Denmark is so small that there is no space for the pigs to run around. It is also because the Danes love pork with a lot of fat. In order to increase the fat content of the pig, Danish pig farmers severely restrict the movement of the pig. A Danish pig spends its entire life in a pig-house stall where it can only stand and sit until it is slaughtered. In all honesty, this can only be described as extremely cruel treatment of animals. While the number of pork producers in Denmark has declined over the past 30 years, falling from about 80,000 in 1975 to about 10,000 in 2004, the number of pigs produced during that same time has more than doubled: from 11.3 million in 1970 to 25.2 million in 2004. This is in a tiny nation of some 5 million people! Danes obviously eat a lot of pork. According to a Danish study, Danes ate approximately 122 pounds per capita in 2004. Some 85-90 percent of Danish pork production is exported, making Denmark the world's largest pork exporter. Danes clearly live off the backs of pigs. The study of Danish society, written by Danish scientists, "politely" described Danish food as "unmemorable." "'Danish cuisine' is an oxymoron," the paper, entitled "Why Danes are smug," said, "except perhaps the open faced 'butter breads' that accompany the beer and aquavit Danes consume for lunch." Aquavit is a distilled grain alcohol product containing about 40 percent alcohol by volume. Danes drink this "for lunch," as the study noted. Danes do, indeed, drink and smoke a great deal. Danes are among the highest consumers of alcohol and tobacco in Europe. This is reflected in causes of death and their low life expectancy. A reviewer of the Danish study suggested that one reason that Danes seem smug may be that they were drunk when they participated in the European surveys. 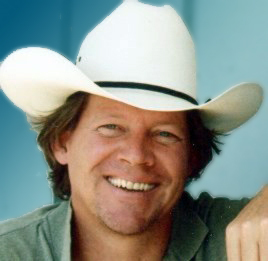 While this may sound silly, it is actually based on a good understanding of Danish society; Danish workers and firemen traditionally enjoy their first beer break at about 10 a.m.
Christopher Bollyn is an independent American journalist dedicated to exposing the lies of 9-11 and the fraudulent "War on Terrorism." Bollyn considers a correct understanding of these hoaxes to be essential to preserving the values of our shared civilization. Bollyn has lived and worked in Scandinavia, including a stint on a Norwegian farm that had a "grishus" or pig-house in which the pigs were kept in inhumane conditions very similar to those found in Denmark. The Bollyn family is strongly opposed to the inhumane treatment of animals and human beings. That's one of the reasons he is dedicated to bringing out the truth of 9-11.
as politicians would have us believe. Christmas is a truly wonderful time as Christians around the world celebrate the birth of Jesus of Nazareth, the Prince of Peace. It is a time when the peace of God fills our hearts and souls. Unfortunately, Christmas 2007 also marks the beginning of the 7th year of the fraudulent "War on Terror" and the 17th year of the utterly criminal and genocidal Anglo-American aggression against Iraq. In this dismal era of criminal governments and illegal wars of aggression, I am inspired by the Christmas Truce of 1914. This spontaneous ceasefire on the Western Front during World War I began when German and British soldiers fighting in the trenches near Ypres, Belgium, became filled with the spirit of Christmas and started singing their beloved carols. The unofficial truce began on Christmas Eve, when German troops began decorating the trees around their trenches. They put candles on trees and sang Christmas carols, most notably "Stille Nacht." "Stille Nacht, heilige Nacht," the Germans sang. The British soldiers in their trenches responded by singing "Silent Night" in English. Then, as it has been reported, a German soldier climbed out of the trench holding a small tree lit with candles and shouted in broken English, "Merry Christmas. We not shoot. You not shoot." From the simple act of the soldiers in the trenches singing carols, the peace of Christmas spread quickly up and down the Western Front and the guns of war fell silent as more than one million men defied orders and personally rejected the war agenda. The soldiers laid down their weapons, exchanged gifts, and played soccer with soldiers on the other side -- and buried their dead. German and British soldiers enjoying the Christmas Truce of 1914. Like them, we should reject the war agenda - at Christmas and always. Along some stretches of the Western Front, the truce lasted into January of 1915. The spontaneous truce started by the soldiers was strongly opposed by the higher levels of the military. Senior commanders sabotaged the truce and forced the fighting to begin anew. For the duration of the war, artillery bombardments were specifically ordered on Christmas Eve to prevent another Christmas truce from breaking out. Shall be as Christmas Day. This Christmas, all of us should decide to be like those soldiers on the Western Front in 1914. As citizens of America, Europe, Australia, and the other nations that have been deceived into fighting these evil wars, we should make a New Year's resolution to stand up for peace and completely reject the false logic and lies of the war agenda. We must not only pray for peace at Christmas, but as Niven wrote, we should endeavor so that every day "shall be as Christmas Day." It is not wishful thinking or idealism to reject the war agenda. It is our obligation as citizens. We must stop the evil and fraudulent "War on Terror" if we want to preserve our way of life, the peace and prosperity of our nations, and the values of Western civilization. After six years, we should realize that we can not wait for the media, the churches, or our government leaders to stop the war agenda. They are clearly not at all inclined to do so. These institutions are obviously supporting the "War on Terror." Therefore, as individual citizens, we must decide that we will stand for peace and do everything we can to resist the war agenda. When the independent journalist Dahr Jamail, who has spent a great deal of time in Iraq, was interviewed recently, he was asked what life was like "for ordinary people in Iraq?" There is no ordinary life. On all levels the basic infrastructure in Iraq is far worse than before the invasion. Unemployment is between 60 to 70 percent, the average home has only up to five hours of electricity a day, there are ongoing gas shortages, and 70 percent of Iraqis do not have access to drinkable water. Over half the medical workers have fled the country, and the situation in the hospitals is worse today than it was than during the punitive United Nations sanctions following the first Gulf War in 1991. The occupation of Iraq is a complete catastrophe, and one could easily argue that is the result of a genocidal policy conducted by the current Bush administration, the former Clinton administrations, and the Bush senior administration before that. This is a bipartisan war against Iraq by successive US administrations that has spanned decades and resulted in the destruction of the country. By now it should be abundantly clear that the "War on Terror" is a huge criminal fraud. The invasions of Afghanistan and Iraq were based on lies, false premises, and the intentional deception of the public. Furthermore, the war agenda is bankrupting our national treasury and destroying our way of life. If we had a feud with a neighbor because we suspected that neighbor had stolen or damaged our property, but then learned that someone else had committed the crime, what should our response be? We would naturally want to apologize and make amends. A gift to compensate for the hard feelings would be appropriate. Why has something similar not happened with the United States vis-à-vis Iraq or Afghanistan? Why have the Democrats, the opposition party in the United States, not demanded an immediate withdrawal of U.S. forces from these disastrous and costly conflicts that were started on false pretenses and lies? Why has the media not called for an end to the fighting? Why are the leaders of the largest religious denominations absolutely silent on these highly illegal and unjust conflicts? There is only one explanation for the compliance of these institutions with these illegal wars of aggression – they are all either supporting the "War on Terror" or are afraid of opposing it. Rejecting the false and evil logic of the fraudulent "War on Terror," however, is a moral obligation we owe to our children, our nations, and our civilization. We should try to see ourselves as the rest of the world sees us. Imagine that the United States and Canada were independent peaceful republics that minded their own business, like Switzerland. Imagine that instead of our nations, the great Russian Bear were engaged in global adventures and war-mongering. Imagine Russia's President Vladimir Putin were sending tens of thousands of troops into conflicts around the world and that Russian forces were supporting the occupation regimes in Palestine, Afghanistan, and Iraq while Russian companies stole their most precious resources. Imagine that Russia were supporting an ethnic civil war in North America and providing troops and military equipment for an illegal drug-running militia bringing narcotics into the United States. How would peace-loving Americans and Canadians feel about President Putin and Russia if he were doing what we are? Russia is not the war-mongering beast committing war crimes and aggression around the world – we are. We have met the beast and it is us. This year, Christmas begins at the end of the Hajj, the Muslim pilgrimage to the holy city of Mecca. Islam, grossly misrepresented in the Zionist-controlled media, is truly a religion that cherishes "Salaam" - peace. The word "Islam" means more than "peace." It means to give oneself completely to God and to enter into a covenant of peace with Him. The word "Islam" is derived from "Salaam." The Arabic concept of Salaam is much more than the mere absence of violence and aggression. It means total well being and happiness. Al-Salam is also one of the 99 Names of God in the Koran. The traditional Arabic greeting for both Muslim and Christian Arabs is "As-Salamu Alikum," which literally means "peace be upon you." The response is, "Wa Alikum As-Salaam, or "and upon you be peace." Peace is the true Islamic way of life. The traditional Hebrew greeting, "Shalom Alichem," means the same thing. Unfortunately, the Israeli government has been hijacked by radicals of the most extreme right-wing and militant faction of Zionism – the sons and daughters of the former Irgun terrorists of Vladimir Jabotinsky. These Zionist terrorists, people like Ariel Sharon, Benjamin Netanyahu, Shimon Peres, Ehud Olmert, and "Zippy" Livni, have created a fortress state in Palestine and are clearly unable to deliver peace or prosperity to the Israelis or the Palestinians. These fanatical Jewish-supremacists are determined to create the same fear and bring their Zionist wars and fortress mentality to the people of the United States and the West. As Westerners and Americans, we must reject this mentality, utterly and completely. The false-flag terror attacks that now occur with sickening regularity are not Islamic terrorism. They are false-flag attacks committed by Israeli agents, which are specifically designed to be blamed on Islam. The purpose of this outrageous terrorism is to convince the people of the West that radical Muslims, all across the Islamic world, are waging war against us, when clearly it is we who are the aggressors. False-flag terrorism, such as 9-11 and the subsequent bombings in London, Bali, and Madrid, provide an excuse for Western armies to occupy Islamic nations and loot their wealth, which is the real logic behind the war agenda. Click here to view the photo bigger. 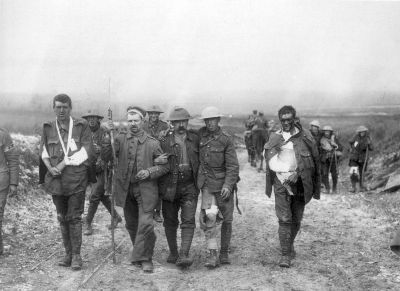 The British injured from "The Great War" that took more than 20 million lives. Like the soldiers on the Western Front at Christmas 1914, we must forcefully reject the madness of the war agenda, individually and as nations, and stand up for peace at Christmas -- and forever more. Denson, John V., "Soldiers Against War: The Story of the World War I Christmas Truce"
Nichols, John, "Short Peace In A Terrible War"
or one living in perfect freedom who has nothing more to say? I am truly sad to hear that Kurt Vonnegut has left us. He is one person that I really wanted to meet and now I regret that I didn't. Having read Slaughterhouse-Five (1969) in high school and having lived a month at the slaughterhouse where he survived the fire bombing of Dresden in 1945, I would have very much liked to spend a few hours in Dresden, or anywhere for that matter, with Mr. Vonnegut. I wound up staying at Dresden's Alter Schlachthof, the old slaughterhouse, quite by accident. On February 14, 2004, exactly 59 years after the Allied fire bombing of Dresden, I took my family to hear the Mozart Requiem at Dresden's Semper Oper and we needed to find an affordable hotel. We grabbed a taxi at the train station and I asked the driver for an inexpensive hotel. He drove about a mile from the town center down a wooded lane and through a large portal in a long wall that ran along the street. We passed through the portal and entered into a large complex of well built but unused buildings that had a massive and most unusual tower structure in the middle. A few hundred feet from the portal stood a small modern hotel, clearly from a later and less grand era, where we took a room. We wound up staying in there for several weeks. The next day I walked around a bit and asked a groundskeeper some questions about what this large complex had been in the past. Eventually I learned that it had been a very famous and scientific modern slaughterhouse designed by Hans Erlwein in the early 1900s. In recent years it had been abandoned and most of the buildings were no longer used. At the main entrance of the complex stood some very impressive buildings, one of which had the number 5 by the door. That building was the administration building and at the time that the complex served as a prison camp, the Allied POWs knew their camp by the post address for this main building: "Schlachthof 5." As a 22-year-old POW, Kurt Vonnegut survived the fire-bombing of Dresden because he and the other prisoners had the good fortune to have been kept at the slaughterhouse where they had been taken into the well-built and deep meat cellar. The groundskeeper took me into the cellar so I could see where Vonnegut had survived the holocaust of Dresden. I was surprised to learn that very few people knew that Allied prisoners had survived the bombing in the meat cellar of the old slaughterhouse and that one of them, Kurt Vonnegut from Indianapolis, had written a very famous book about what he had experienced in Dresden – 24 years later. Billy was down in the meat locker on the night that Dresden was destroyed. There were sounds like giant footsteps above. Those were sticks of high-explosive bombs. The giants walked and walked. The meat locker was a very safe shelter. A guard would go to the head of the stairs every so often to see what it was like outside, then he would come down and whisper to the other guards. There was a fire storm out there. Dresden was one big flame. The one flame ate everything organic, everything that would burn. Today, the day after Vonnegut passed away at age 84, the BBC played part of an interview with him. He said that he had been an eyewitness to the worst massacre in European history. Vonnegut was under the impression that about 135,000 people had been incinerated in the holocaust of Dresden. This number is at the low end of the death toll estimates from the Ash Wednesday/Valentine's Day holocaust of Dresden. The post-war British and American historians have greatly downplayed the number of victims and the size and viciousness of the Allied war crime that was the incineration – the holocaust of the hundreds of thousands of innocent people and the architectural masterpiece known as Florence on the Elbe. Another eyewitness, the late August Kuklane, had spent time in Dresden looking for his Estonian parents among the hundreds of thousands of refugees that had sought refuge in Dresden during the desperate winter of 1945. Kuklane told me that the number of people estimated to have perished in the city center that had been totally destroyed by fire was about 600,000. "American fighter planes came in under the smoke to see if anything was moving. They saw Billy and the rest moving down there. The planes sprayed them with machine gun bullets but the bullets missed," Vonnegut wrote. "Then they saw some other people moving down by the riverside and they shot at them. They hit some of them. So it goes." The corpses of Dresden were burned in piles and then buried in a mass grave. The Historic Life of August Kuklane (1923-2006)"
Eleven young choristers from Dresden's famous Kreuzchor were among those killed in the Allied fire-bombing on February 13, 1945. American fighter planes came in under the smoke to see if anything was moving. They saw Billy and the rest moving down there. The planes sprayed them with machine gun bullets but the bullets missed. "Then they saw some other people moving down by the riverside and they shot at them. They hit some of them. So it goes.